Crystals for the Summer Solstice: Shining Your Light! Can you believe that half of the year is already gone, and summertime is basically here? The summer solstice is right around the corner, on June 21st. It marks the longest day of the year, a time when we are at maximum light. The progress of the sun throughout the year represents our journey of achieving enlightenment, and so we are at the peak on this day. It is a time when light triumphs over dark; a time for us to focus on ascension, integration, and wholeness. So make time to celebrate your conscious awakening on the solstice! The summer solstice is ideal for honoring and connecting with the Divine Masculine, which is represented by solar energies. The Divine Masculine is the part of yourself that makes things happen in your physical reality. It’s about strength, structure, right action, walking your talk, and shining your light and gifts into the world with confidence. Summer is also a time for your sacral chakra to sizzle with passion, desire, and sensuality. The sun heats things up in the love and creativity departments. And finally, summer is also known as a time of “life in full bloom.” This is a time of picnics, fireworks, social gatherings, vacations, and general fun and celebration. It is more about basking in all of the good spiritual work you have done in the past year rather than starting new projects or going in new directions. 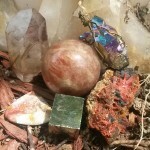 I want to share with you six crystals that can help you connect with these energetic themes of summertime, along with a crystal layout you can do with them to help you brightly shine your light. 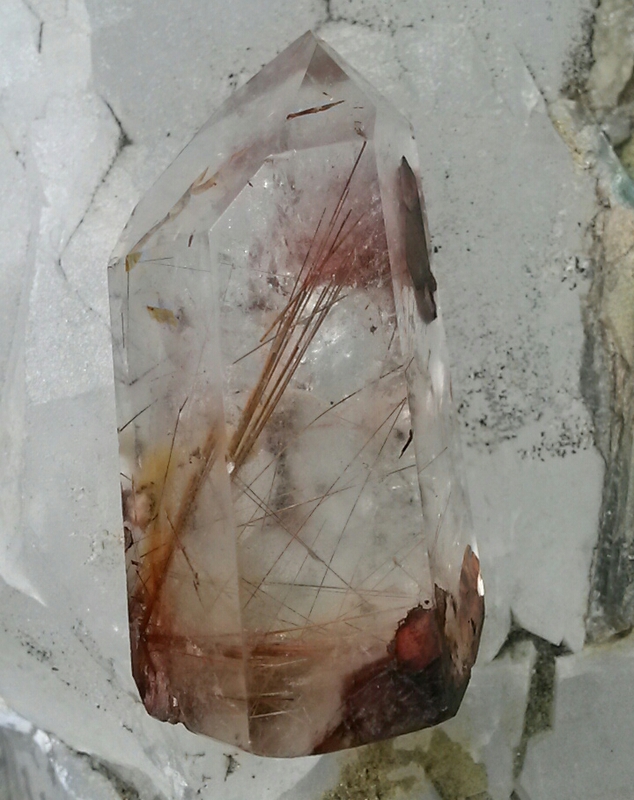 Rutilated Quartz: Rutile is a titanium oxide crystal that looks like brown, gold, silver, or red needles. 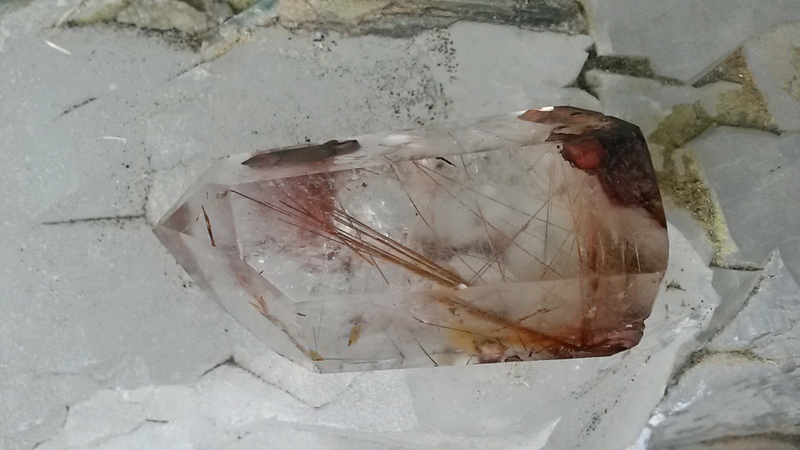 When we find Rutile inside of amplifying Quartz, it creates the effect of antennas or channels of connection to various multidimensional realms, beings, or potential timelines. It delivers these higher energy streams into the etheric, third eye, and crown chakras, and it also assists with grounding these frequencies into the cells. This helps with spiritual activation and enhancement of psychic gifts, especially relating to channeling, meditation, and healing. 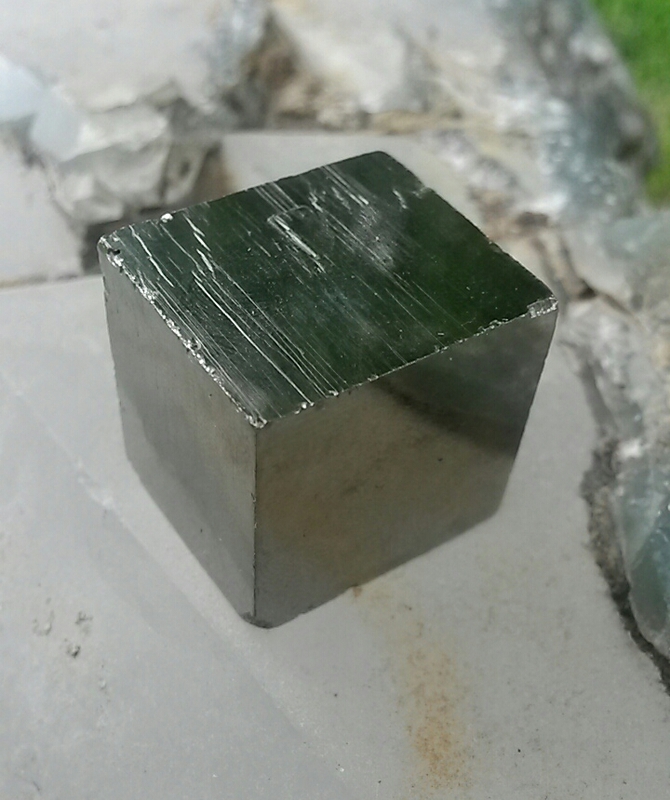 The Rutile also helps us to connect with the Earth grids. This enables us to flow the higher energies down into the planet and to also receive nourishing and grounding Earth energies. Rutilated Quartz is a powerful manifestation stone, assisting us to pull in the potential reality that is best for us. It is also a vibrational healer that cleanses and vitalizes the aura and removes negative energy. It releases blockages to spiritual growth and past traumas. Rutilated Quartz guards against psychic attack, and it helps relieve anxiety, depression, fears, and other energetic constrictions. It is a perfect choice for assisting us in the areas of ascension, integration, and enlightenment. 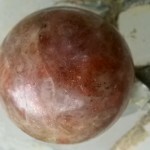 Sunstone: Sunstone connects with the solar energies and the charismatic traits of the Divine Masculine, such as warmth, generosity, and confidence. It enhances positive leadership by helping you to be comfortable with stepping into a role of greater responsibility and using knowledge for the highest good of all. 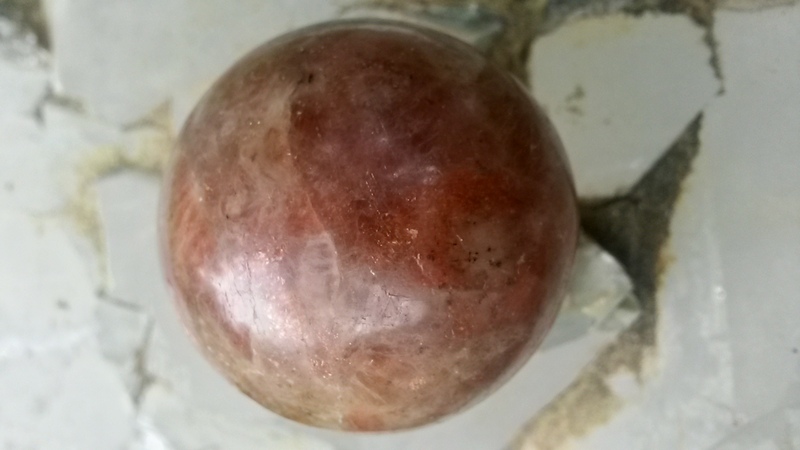 It is a stone of manifestation and blessings, bringing in positive synchronicities and assistance in moving forward. 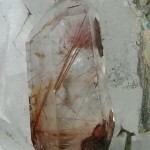 Sunstone brings a sense of freedom, fun, and adventure into your life, relationships, and creative pursuits. It burns through lower feeling states that keep you from being who you really are. Sunstone helps you shine and radiate your gifts into the world! Pyrite: Pyrite resonates with the Divine Masculine traits of strength, protection, and effectiveness on the Earth plane. It has an iron content, which helps to keep you firmly grounded, connected, and present in the moment so that you can complete the tasks at hand. It also keeps the auric field anchored and in tact, as it seals and repairs any damage. 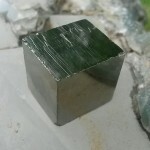 Pyrite naturally forms into the sacred geometry of the cube, and it brings in the energies of stability, logic, focus, and vitality, while enhancing your scientific and mathematical abilities. It imparts a positive, confident attitude and helps you accomplish challenging tasks. Pyrite helps you release fear and take action. It releases old habits and patterns while helping you adopt healthy new ones. 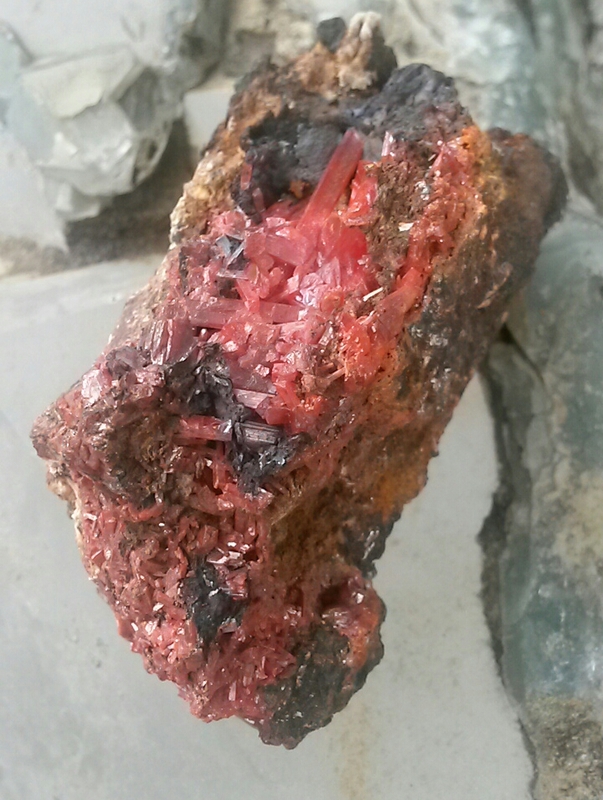 Crocoite: Crocoite is filled with vital energy and raw power that ignites your passion and feeds your life force energy. The striated formation makes it ideal for clearing blockages and for infusing energy into the lower chakras. If you are someone who often feels like your energy is low, sluggish, or depleted, this is the stone for you! It awakens the first two chakras and brings sexuality to a higher expression, making it perfect for tantric love-making practices. It awakens the kundalini energies and channels the lower chakra energies up and into the higher chakras for spiritual illumination. It is known to assist with breakthroughs and quantum leaps. 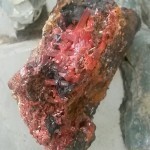 Crocoite fills the physical body with energy and strengthens overall health, and it is especially nourishing to the immune, reproductive, and endocrine systems. 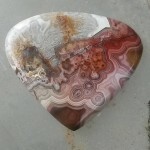 Crazy Lace Agate: Crazy Lace Agate is called the Laughter Stone, or “Happy Lace.” It has whimsical, circular, flowing patterns of cream, pink, red, and gold; which gives it a feeling of dance, joy, and celebration. Wear Crazy Lace Agate to share its positive energy and to enhance fun and laughter at any social gathering. It has supportive and encouraging energy that is elevating and positive. It promotes mental flexibility, vivaciousness, and variety. 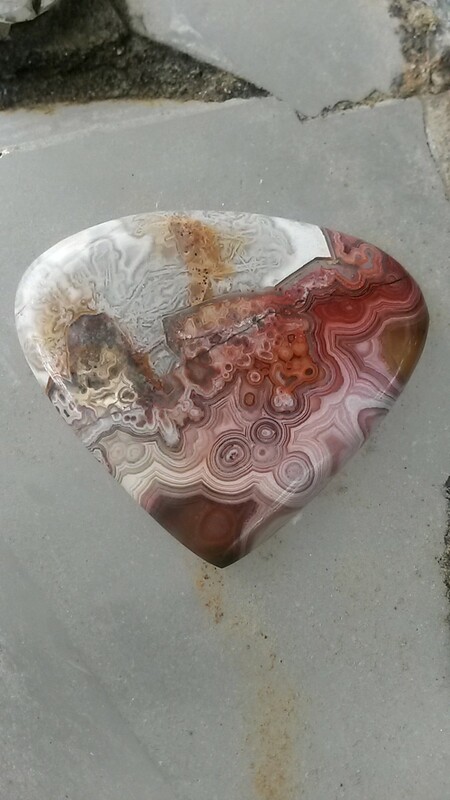 Crazy Lace Agate helps to overcome depression and emotional suffering, making it great medicine for your self-esteem. It has been known to absorb emotional pain, especially when worn as jewelry over the heart or solar plexus chakras. 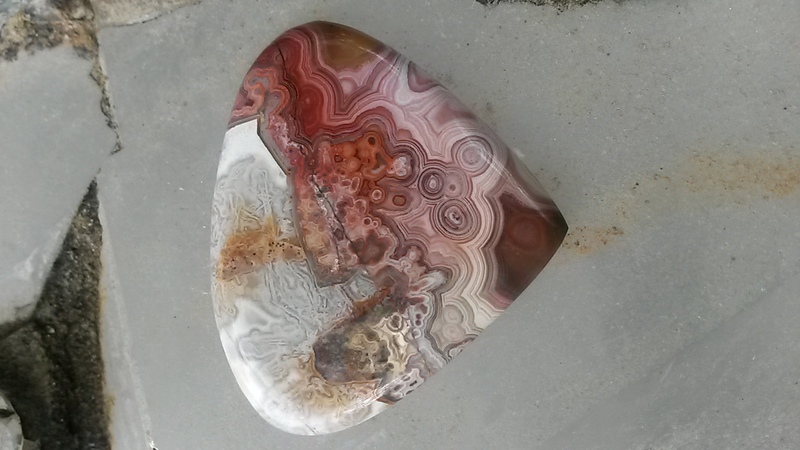 Crazy Lace Agate stabilizes the aura, eliminating and transmuting negative energies. It is a powerful cleanser on all levels. It raises awareness and connects us with the unity and oneness of all life. Titanium (Flame Aura) Quartz: This captivating crystal is created by placing Quartz in a chamber with titanium and other metal oxides in vapor form, which bonds to the surface and creates a dazzling color display in the form of a metallic rainbow. Titanium is a masculine metal that resonates with power, action, higher consciousness, and integration. And bonding it to Quartz amplifies these qualities. 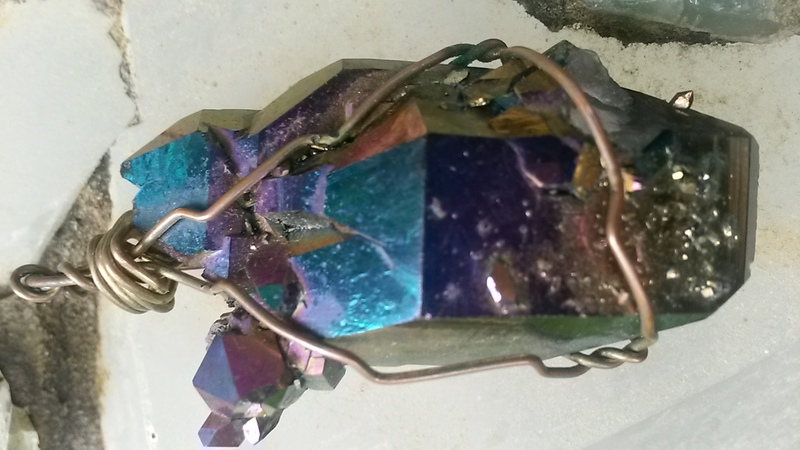 Titanium Quartz brings out your dynamic personality. It boosts your wit and sense of humor, making you the life of the party. It helps you to be light-hearted, so that you can relax and enjoy life. 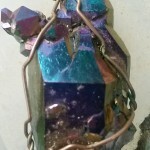 Titanium (Flame Aura) Quartz connects with the frequency of full color, of the rainbow, and of the pure bliss vibration that exists in the higher realms. It is known to assist with multidimensional shifts and attunement. It is highly energizing to the physical body, the subtle bodies, and all of the chakras. It can bring you into a grounded, clear, balanced, energized state perfect for taking on the world! Purpose: To bring you into harmonic resonance with the Summer Solstice energies. It enhances your power, light, higher connection, and dynamic personality. This layout can activate, clear, and energize the chakras, while helping you to shine your powerful presence in the world in delightful and effective ways. It is perfect to do around the time of the summer solstice, any time during the summer season, or anytime that you would like to shine at the maximum levels! Instructions: Cleanse all stones and call in spirit. If possible, do this layout outside on a sunny day. Place the Rutilated Quartz over the third eye, at the center of your forehead, to help bring in higher frequencies for spiritual attunement and activation. Next you will create a medicine wheel or sun pattern spanning from the heart chakra to the sacral chakra. 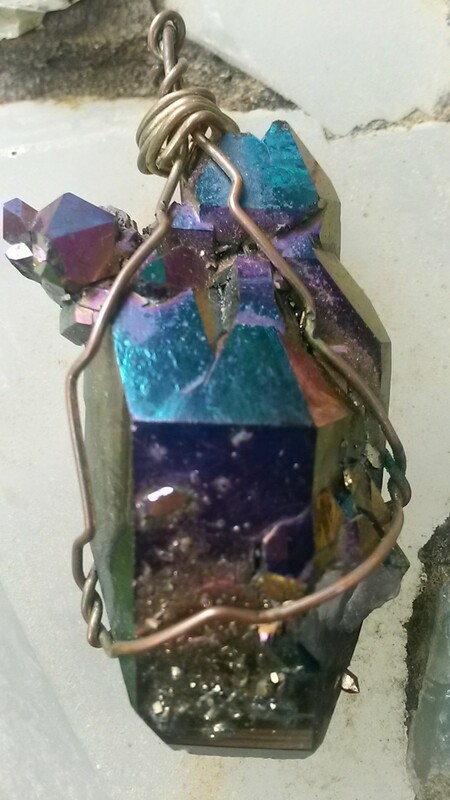 Place the Titanium Quartz over the heart chakra, at the center of the chest. This assists in moving the heart chakra into a joyful, light-hearted space, while bringing in multidimensional energy and the full rainbow spectrum of light. Place the Sunstone at the solar plexus chakra, a few inches above the belly button. This will activate, clear, and empower the solar plexus so that you can manifest your gifts and radiate your light into the world. 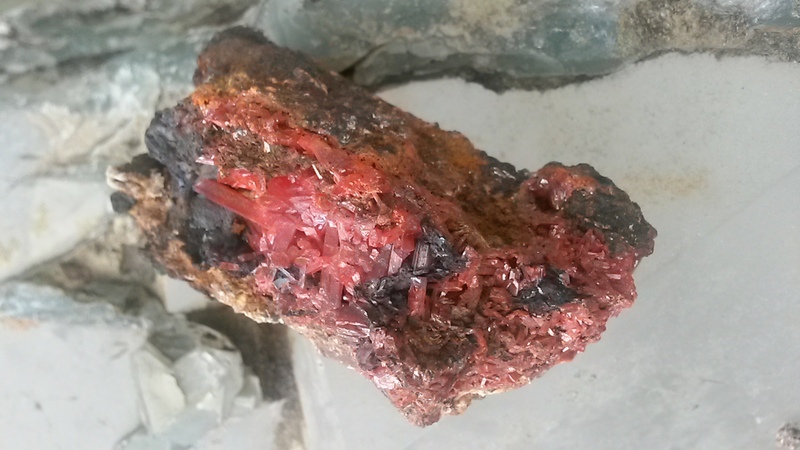 Place the Crocoite at the sacral chakra, a few inches bellow the belly button. This will activate and clear the sacral chakra, boosting your passion and creativity while vitalizing the lower chakras. 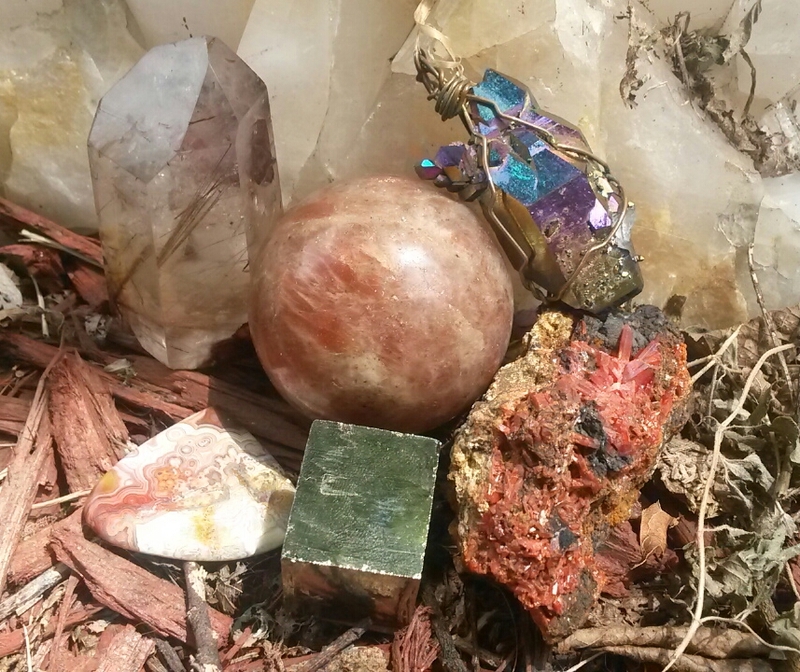 Place the Pyrite a few inches to the right of the Sunstone, and place the Crazy Lace Agate a few inches to the left of the Sunstone. The Pyrite resonates perfectly with the right side of your body, the masculine side, and will amplify and anchor all of the positive masculine traits into your personal reality. The Crazy Lace Agate is more circular in pattern and energy, and so it resonates more with the left/feminine side of the body. It will help you stay in a positive and happy flow. Relax, breathe, and meditate with these stones in place for at least fifteen minutes. Imagine connecting with the life-giving sun that is so powerful this time of year. The sun is a generous entity that offers frequencies and codes of light that can illuminate your consciousness. Hold an intention that you are open to receiving a solar transmission of light that is for your highest good. Feel the sun beaming on your skin, and tune into the light codes flowing down and being delivered to you on the solar rays. You might also meditate on the positive things that you want to manifest for yourself during the summer. Imagine making it happen, and allow yourself to feel all of the positive feelings associated with being in your power. Wishing you bright blessings, positive outcomes, and unlimited sunshine!